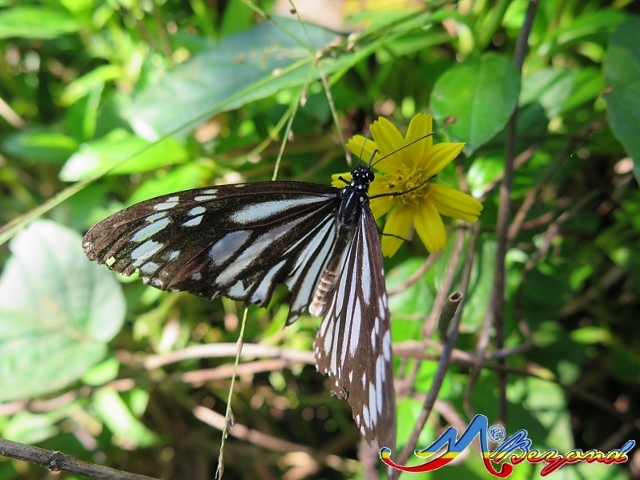 With tummies filled, we continued our jaunt to the nearby Aliw Waterfalls. 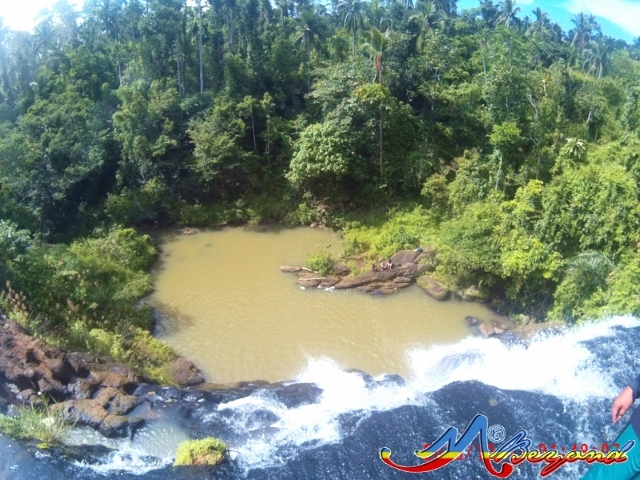 The flurry from the earlier Hulugan Falls adventure still loiter in our psyches. 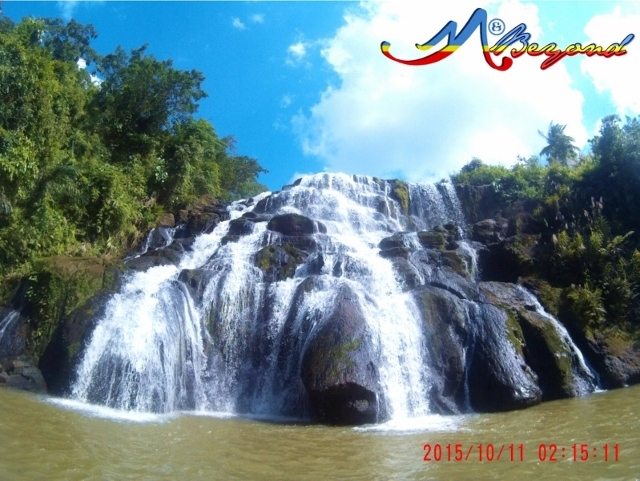 Aliw Falls though part of Brgy. San Jose was less than a kilometer away from Brgy. 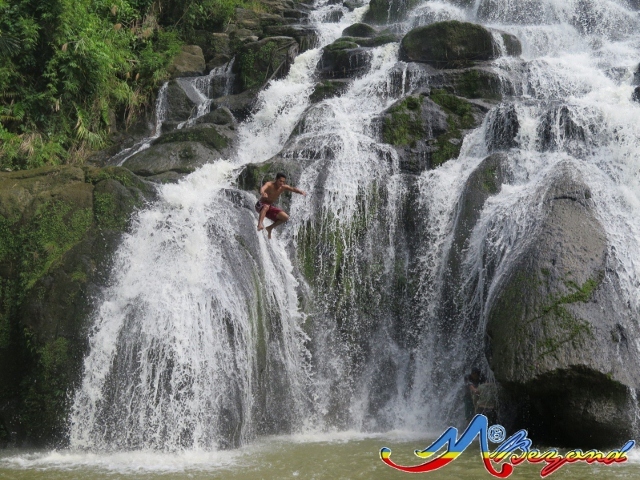 San Salvador of Hulugan Falls. 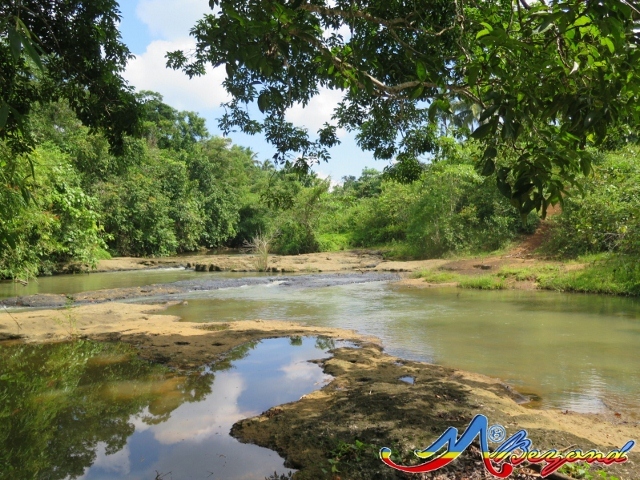 The two are actually within strides, just note of the gate of a deserted housing project which served as the jump-off of Aliw Waterfalls. 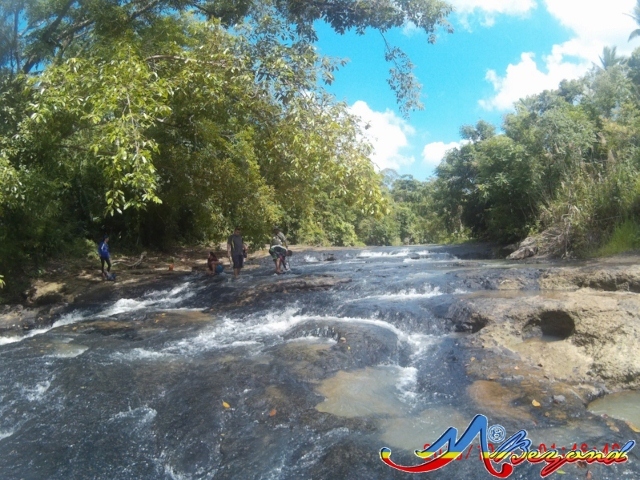 Earlier on, we informed our guides that we will explore two waterfalls. They’re the one who suggested what to visit first. 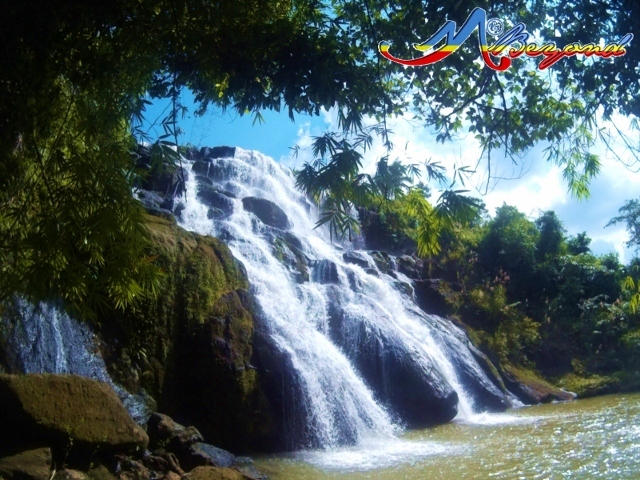 Unlike Hulugan Falls, no registration is required for Aliw Waterfalls. 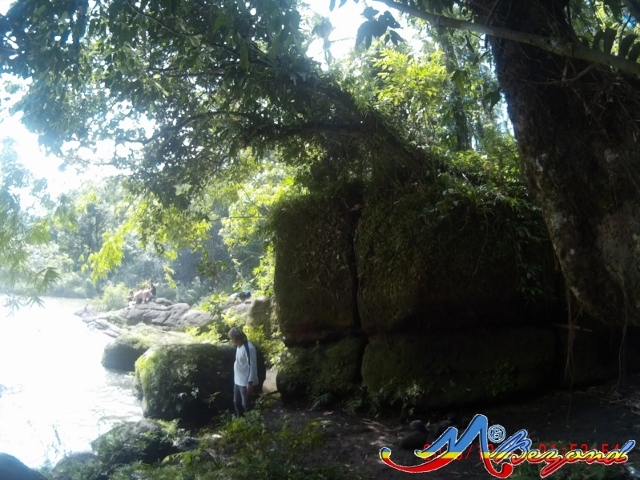 Still, many tourist have favored more Hulugan for its height and powerful drop as compared to the shorter Aliw Falls. Well, we strolled with same ecstasy as we believe they both have distinct appeal. 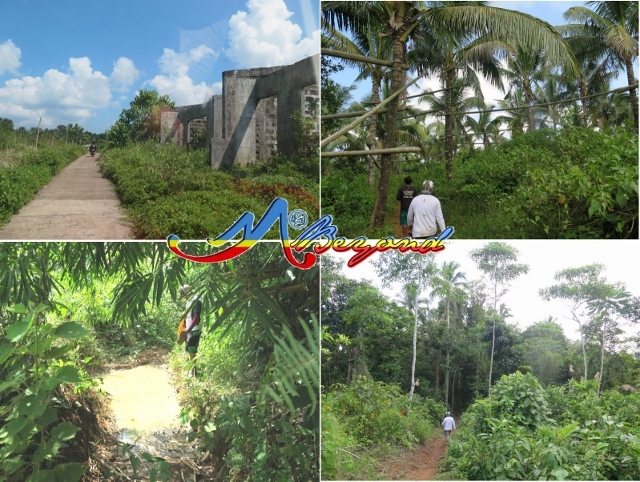 At the end of the desolated houses, we entered a forest where we passed by a former lambanog harvest ground as evidenced by the coconut trees interconnected by bamboos. 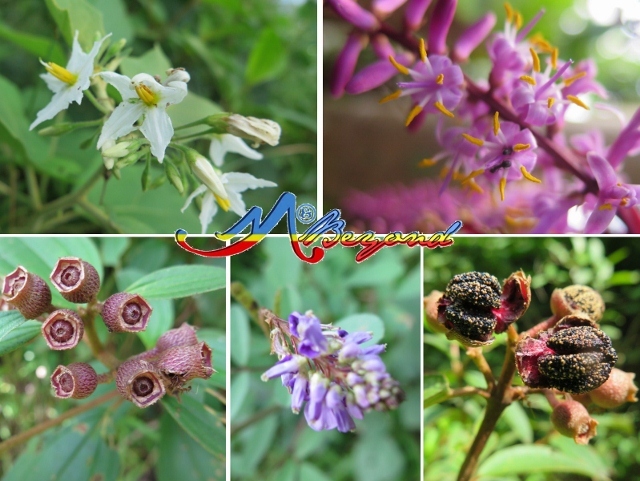 I saw flowers as we trek which had me occupied ignoring the suns fiery. 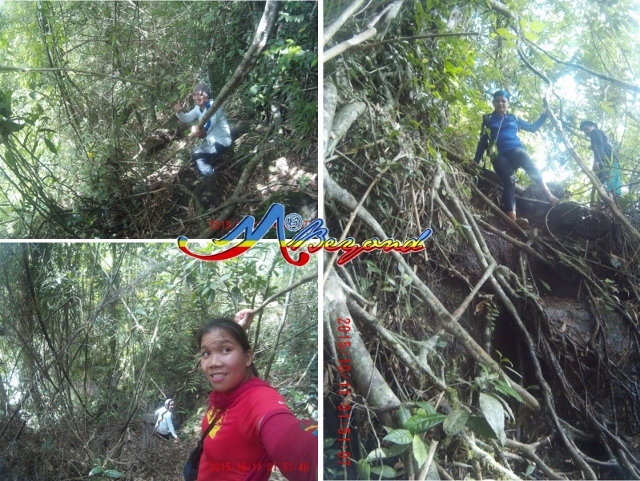 The guide led us first to Aliw’s crest where the group lounged for a while. The water was so tame, even at the ridge edge that you can peek at the basin underneath. Shortly, we navigated the strangled nearly vertical mass with aerial roots all over that eased the step. 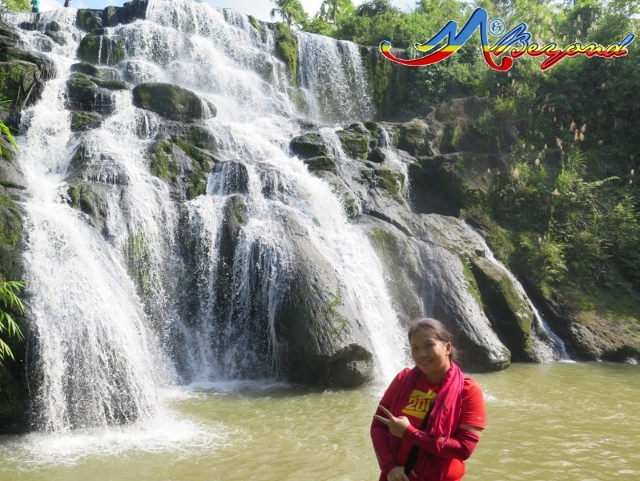 Finally, Aliw Waterfalls revealed its own marvel with wider and deeper pool enticing a plunge. It was almost ours at first with only two other visitors around. 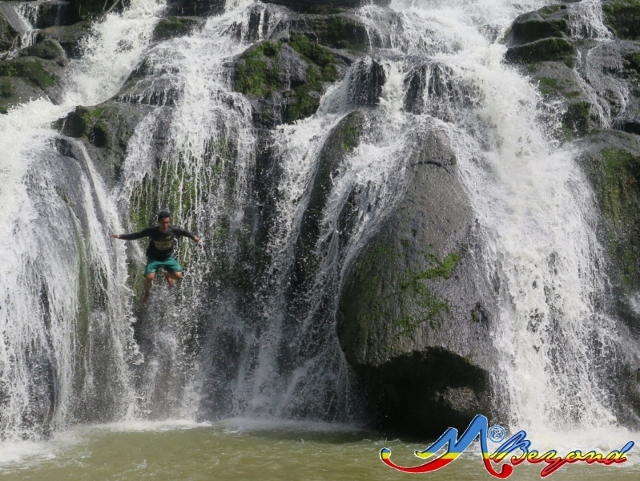 Our guides had their respective shows by jumping through exposed rocks. 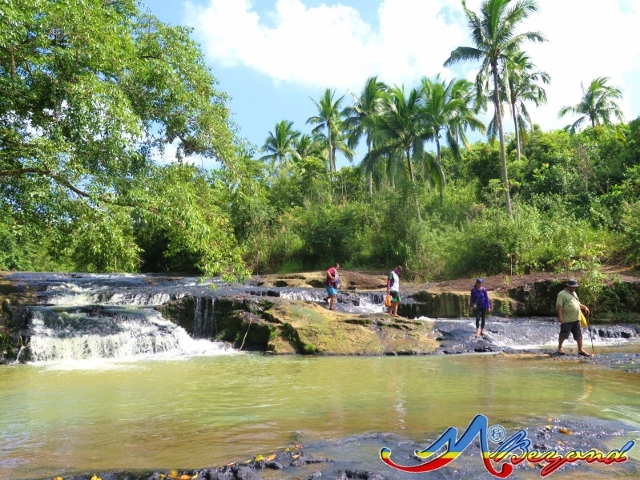 We had fun more at Aliw Falls, maybe because of the lesser crowd, the beautiful cascades and the deep pool. 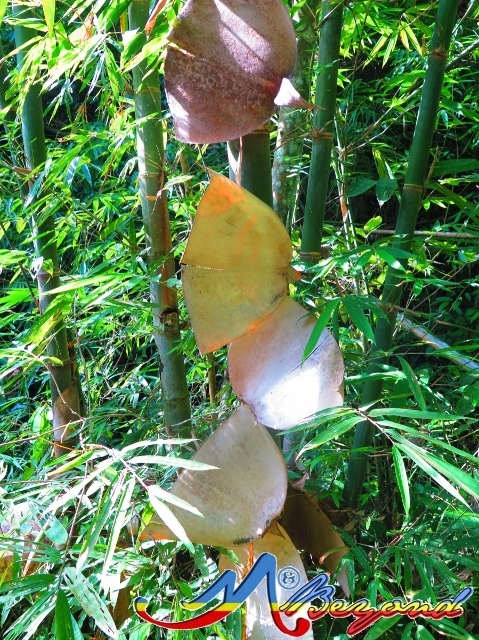 Bamboos surround the basin and I saw one with crust peeling off that resembled a chute as well. 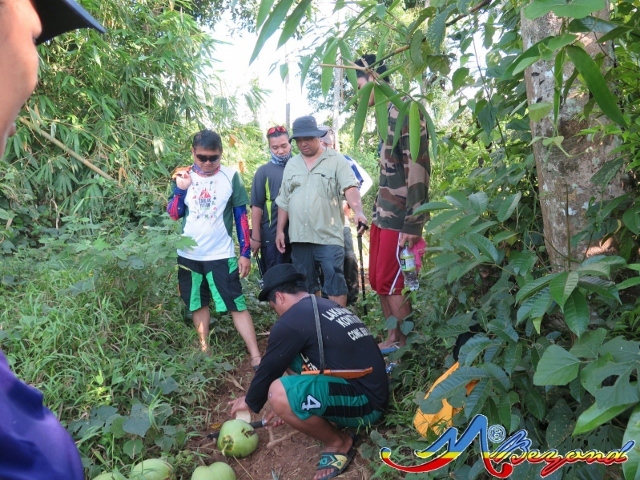 We left the waterfalls before 3pm, this time by the shorter trail … We were offered fresh buko, straight from the tree; a perfect thirst quench. 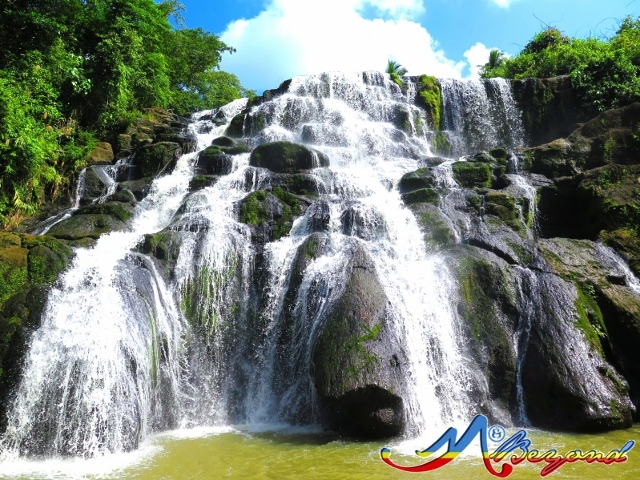 ang ganda naman ng hulugan falls sana marating ko din ito? Why is the water at the carch basin seem to ne muddy?.. Isn'f it supposed to be crystal clear? 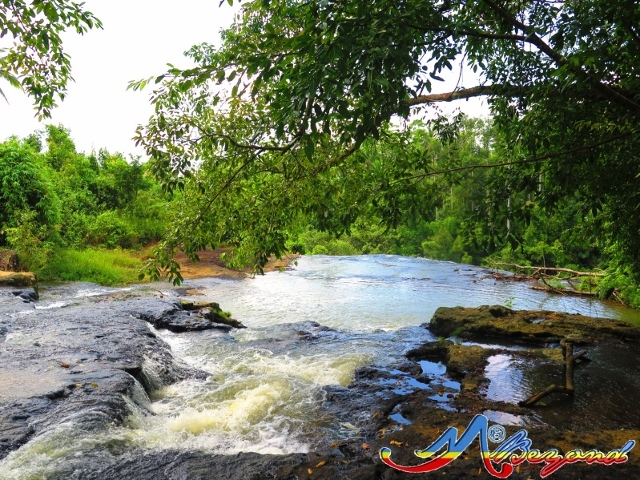 How do you go to Aliw Falls from Hulugan? Do you walk or do you ride a car? How long is the trail going to Aliw's jump off point? hi, is there an area where we can camp overnight? Hi.. ask ko lang safe ba parking? At saan pde mag stay overnight may malapit ba na lodging? Not sure of lodging houses in Luisiana pero madami ata sa Pagsanjan... Parking is at the reg area. Will appreciate your blog more if you can share your itinerary and summary of expenses. Pwede po ba mag over night jan? and magkano po ung rate like for rooms.